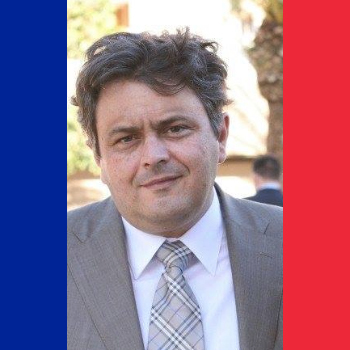 French domain entrepreneur, Francois Carrillo, announced some news today, about changes to his domain-related projects. Valuate, an automated domain valuation system, will be relocating its functions to Domaining.com/valuate. The domain Valuate.com is now available for sale, as is Lend.me, via the CAX.com domain sales platform. Francois wants to take advantage of the traffic popularity of Domaining.com, integrating the domain valuation service with it. “Lend.me has been closed. People with bad domains are those who generally need a loan, but domain lenders almost lend when colaterals are premium or liquid domains, what borrowers don’t own! The domain Lend.me could probably fetch six figures, as dot .ME domains are becoming more popular. We recently covered the acquisition of the two letter domain, PM.me by the encrypted email provider, ProtonMail. Lastly, basic Domaining.com memberships are now 50% off, priced just $10 dollars. Lend.me could fetch six figures? April Fools was two days ago. Ricky – Care to tell us, why not? Strong financial keyword with a personalized theme (“me”.) Only fools believe .com is the only option. Insurance.me sold for 15K on Sedo in November. That’s why. On Namebio I see two .me sales in six figures. No Namebio is not be all end all for sales, but it is pretty decent sales repository. One was Rick S sale of Meet.me which I think we can agree Rick extracts dollars more then 99.999999% of other people so I would count that one as an outlier. Insurance.me sold for $15k five months ago. Insurance is much better keyword then lend. Based on historical sales I think a $10k-15k estimate is more realistic. Ah, the “comp posse” strikes again. However, “past performance is not an indicator of future results” is a stronger mantra to go by. Didn’t Rick Schwartz teach you that unless you ask, you don’t get? Or was it something about hookers and escorts, can’t remember. Rick, keep in mind big end user sales are rarely public. And despite isn’t the case of “Insurance me” it was purchased $15K. I am convinced this domain should sell for at least mid 6 figures one day as I declined low 6 figures a pair of times for less valuable “call-to-action” .me, remember it’s a catchy slogan for the lucrative financing/credit/loan industry. Patricia, why didn’t you also get Diapering.Me was it in use?